An interview with the podcast host. 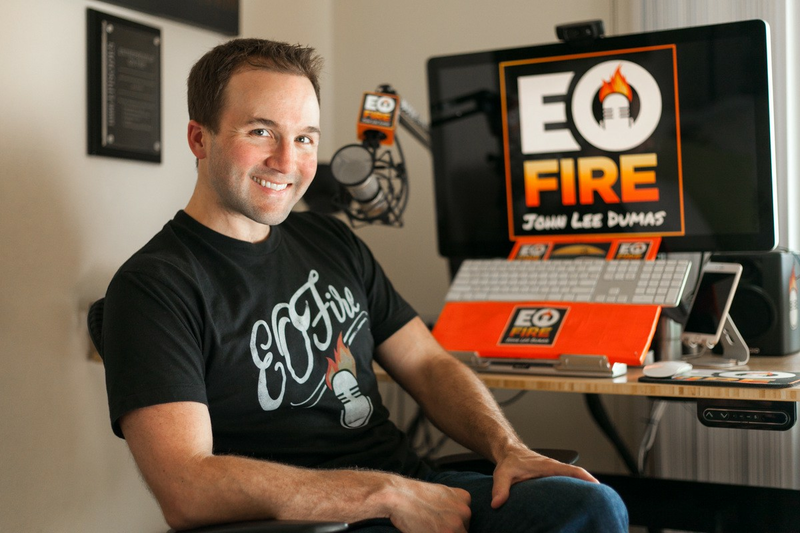 JOHN LEE DUMAS IS THE HOST OF EOFIRE, AN AWARD WINNING PODCAST WHERE HE INTERVIEWS TODAY’S MOST SUCCESSFUL ENTREPRENEURS 7-DAYS A WEEK. JOHN HAS GROWN EOFIRE INTO A MULTI-MILLION DOLLAR A YEAR BUSINESS WITH OVER 1500 INTERVIEWS AND 1.5 MILLION MONTHLY LISTENS. HE’S THE AUTHOR OF THE FREEDOM JOURNAL AND THE MASTERY JOURNAL, TWO OF THE MOST FUNDED PUBLISHING CAMPAIGNS OF ALL TIME ON KICKSTARTER. JOHN AND EOFIRE HAVE BEEN FEATURED ON FORBES, TIME AND INC. MAGAZINE.